January is a weird month; you’re tired from all the holiday travels and still in a food coma from all the cookies. If you feel like taking it easy but still want to get out of the house the best place to go is the movies. The theater has everything those in San Diego want: entertainment, popcorn and a comfortable chair. But, what do you need to know if you wear hearing aids? For most of us this sounds like an easy activity. Drive to the movies, sit down and enjoy. But for the hearing impaired individuals who use hearing aids, it may be quite daunting. The combination of surround sound, noisy patrons and background noise can all mix together to make enjoying a movie a seemingly impossible task. This is where an assistive listening system comes into play. These systems are able to broadcast sound directly from the source to your hearing aid, thus eliminating any distracting background noises. There are three types of systems: hearing loop, FM and infrared. 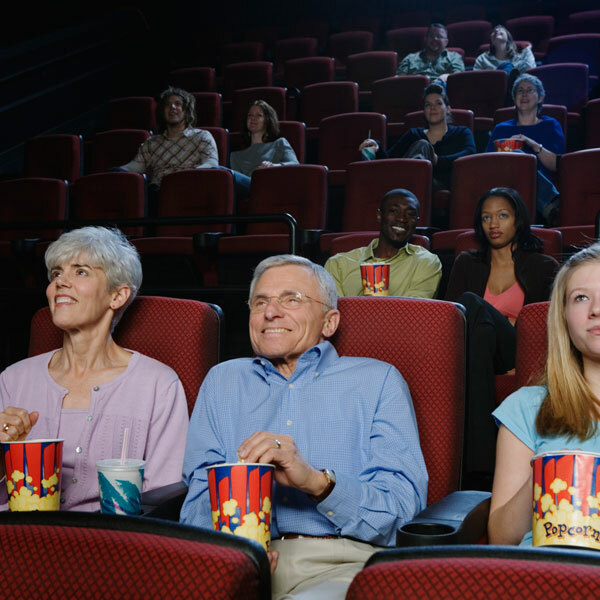 Most movie theaters employ the hearing loop as their system of choice. All modern day hearing devices come telecoil enabled. A telecoil, also called a t-coil, is a wire spring that works as a miniature wireless receiver. The telecoil picks up electromagnetic signals (used in a hearing loop) and turns the signal back into sound within the hearing aid. A hearing loop consists of three parts: a sound source, an amplifier and a thin loop of wire that surrounds the room. As long as you are within the loop sound can be picked up and sent as an electromagnetic signal to the hearing aid. While you may be tempted to think “this is all well and good but the small neighborhood theater I was planning to visit cannot possibly have such an advanced system in place,” you would be wrong. The 1990 Americans with Disabilities Act required that all places of public accommodation with fixed seating that either accommodates at least 50 people or has an audio amplification system (or both) must provide an assistive listening system. Don’t let your hearing loss get in the way of a good time. If you have any questions about how to get the most from your hearing aid, contact your San Diego audiologist.